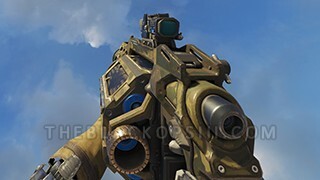 Black Ops 3 multiplayer features a new "Specialist" character system. 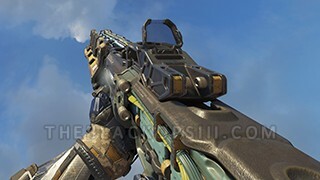 Players choose one of nine different elite black ops soldiers to be their multiplayer avatar - each character has their own look, voice, unique special weapon and ability. 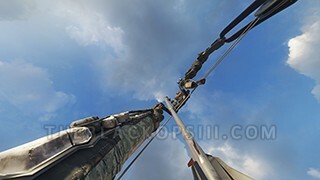 Each Specialist is individually ranked up and can unlock new gear and other customization options. You must choose one Specialist before a match and it can't be changed midway through. You must also choose if you want to take either their special weapon or ability, as you can't have both selected. As you play, your energy meter fills up slowly over time, but it can be accelerated by taking out enemies and completing objectives. 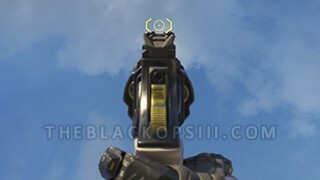 Once the meter is full, you can activate your Specialist weapon or ability at any time. If you die, your energy meter doesn't reset and you can continue where you left off. The energy meter is reset once the weapon or ability is used up or you die while using it. Once slammed to the ground the Gravity Spikes create a powerful shockwave that destroys everything in range. Can be activated on the ground or while airborne. Useful for clearing out enemies from an objective. If you are killed while using the Gravity Spikes, but don't finish the attack, your energy meter doesn't reset completely. Enables a temporary burst of speed. Extremely useful for objective running since it can be triggered when you need it the most. You can limit the Overdrive's energy drain by standing still. Advanced composite bow that fires explosive arrows that explode shortly after contact. The blast radius is small, but extremely lethal. The bow can be drawn to make the arrows fly straight; otherwise they have a small arch. Sonic ping that reveals nearby enemies as red targets, even through walls. Enemies can see the initial pulse on their radar. Fires an arc of electricity, shocking the target and also bouncing to nearby enemies within range. Each shot takes a second to charge up before being fired. 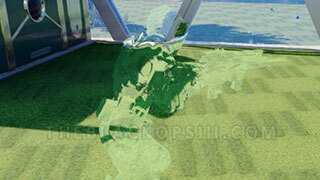 Hacks the battlefield simulation grid and teleports you back a few seconds to a previous location. Useful for escaping combat situations or flanking enemies that are chasing you. If you are not careful, you can accidently Glitch yourself back mid-air and fall to your death. Grenade launcher that shoots bouncing grenades that split into three fragments on contact. Each grenade fragment explodes on impact. The grenades can be bounced off walls and around corners. It can also take out most Scorestreaks in one-hit. Deflects enemy bullets away from your body while active. While the armor is capable of deflecting several direct hits, it doesn't protect against headshots, melee attacks or explosives. High-caliber revolver that fires powerful rounds capable of taking out enemies in one-hit. The Annihilator's depleted uranium rounds can also take out enemies through walls due to their high penetration power. 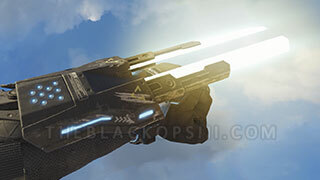 Once activated, all score earned towards Scorestreaks will have a bonus multiplier. You can further boost this ability with the Overclock and Ante Up Perks. Launcher that shoots Nano-Drone pods that stick to any surface. 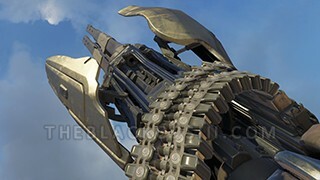 The pods are triggered once an enemy gets near it, releasing a swarm of Nano-Drones that instantly eliminate the target. All deployed Nano-Drone pods disappear once the player is killed. Once you die, you can inject a nanoparticle serum to your arm that will revive you. This is similar to the "Last Stand" perk and "Final Stand" deathstreak from MW2 and MW3, but you can't do anything until you revive yourself. 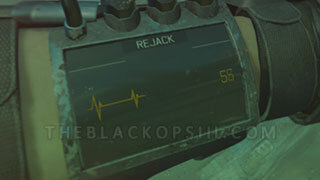 Reviving yourself with Rejack is completely optional. If you are near an important objective, it makes sense to use it. In some situations it's better not to Rejack, since you only lose partial energy that can be used later. Each revive still counts as a death and all your Scorestreak progress is lost. You can't Rejack yourself if you were killed with a Specialist weapon. Activates an arm-integrated quad-barrel minigun with 160 rounds. The minigun must be spun up before it can fire. 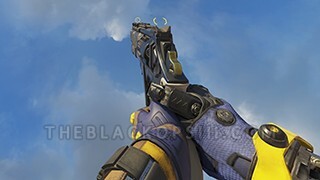 Hacks the enemy HUD so that they will see three simulated decoy Reapers. 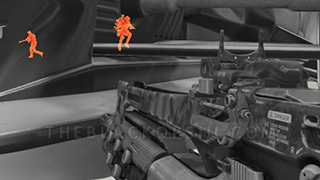 The decoy clones operate on their own and will fire dummy rounds at nearby enemies. 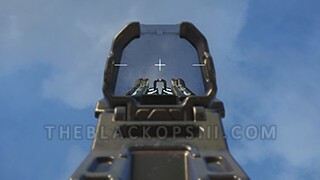 The decoys can trigger enemy equipment and cause Scorestreaks to engage them. Replaces your melee attack with twin blades and extends its attack range. The Ripper can be used often since its energy is regenerated extremely fast. The Ripper replaces your melee attack. Renders you nearly invisible for a short duration. The Active Camo will de-activate if you take any damage. 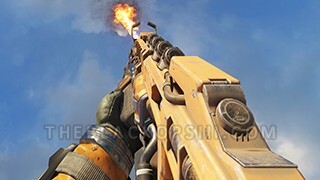 Powerful flamethrower that ignites enemies on fire. Can be used to clear rooms with ease. Releases a stored thermal charge that emits a massive heat blast. The blast stuns nearby enemies, destroys hostile equipment and takes down incoming projectiles.